To bring the True Blood experience to the WIRED Café, WIRED created a detailed replica of the show’s famed Merlotte’s Bar & Grill. Live: The replica of Merlotte’s Bar & Grill was placed in a prime location within the WIRED Café and showcased custom menus, coasters, and a selection of True Blood inspired cocktails. Custom drinks were served throughout the Café by a team of waitresses outfitted in full Merlotte’s uniforms. 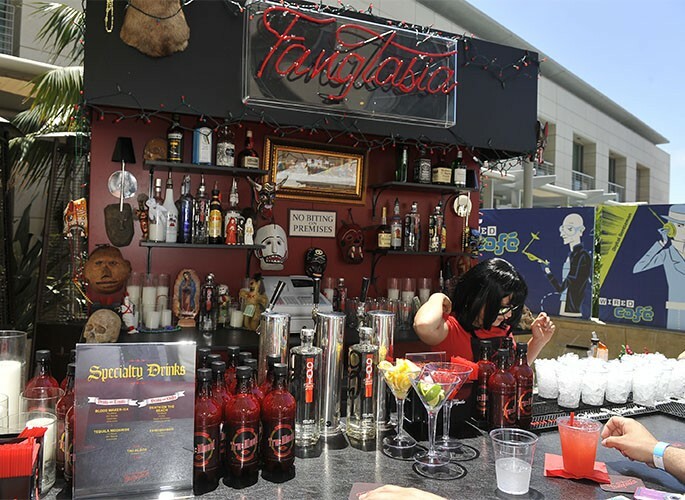 True Blood Season 2 DVDs were distributed in the Café’s VIP gifting suite. Promotion: HBO received full promotional benefits and exposure throughout the Café and within pre-promotional materials, as well as brand integration on the step-and-repeat.